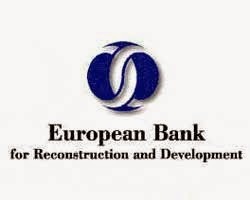 The European Bank for Reconstruction and Development (EBRD) is lending US$ 5 million to Demirbank to finance energy efficiency projects in the country. The facility will be used for on-lending to qualifying corporate and individual customers for industrial and residential energy efficiency projects and equipment. The facility will allow Demirbank to help local entrepreneurs and households to acquire and install more efficient equipment, appliances and materials, such as modern production facilities, double-glazed windows, insulation, gas boilers, solar water heaters and rooftop solar panels. The funds will also help these clients to reduce their energy bills and make their businesses and homes more cost-efficient. The loan is part of the EBRD’s Caucasus Energy Efficiency Programme (CEEP), which provides loans to local partner institutions for financing industrial and residential energy efficiency improvements, promoting energy savings and helping to reduce greenhouse gas emissions. The loan is also supported by grant funding of €9.2 million, comprising €4.6 million from the European Union Neighbourhood Investment Facility (EU NIF) and €4.6 million from the Austrian Federal Ministry of Finance, to be used for technical assistance and investment incentives for households. In addition, the EBRD has engaged consultants to support banks, firms and households with technical advice for energy-saving investments. This support enables industrial clients and homeowners to make the transition from under-performing, low-quality equipment and materials, towards investment in better-performing, more efficient products that will deliver greater benefits throughout their lifetime. Demirbank, established in 1989, is a universal bank ranked 13th in Azerbaijan in terms of total assets. With 32 branches across the country, it offers a wide range of banking services to micro, small and medium-sized firms as well as offering retail banking facilities to private clients. The EBRD has been active in Azerbaijan since the country’s independence. To date the Bank has invested in 146 projects with over US$ 2.5 billion across various sectors of the Azerbaijani economy. One of the EBRD’s priorities in the country is to support the growth of the non-oil private sector by investing in dynamic small and medium-sized enterprises.